Organizer: Dental Press Hungary Kft.
? 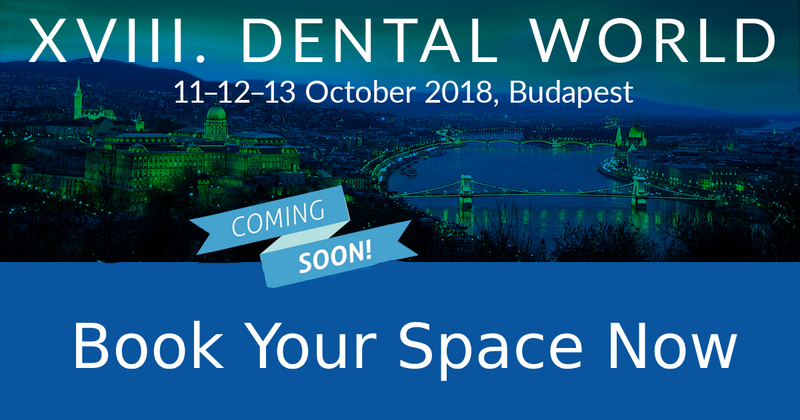 More than 100 000 visitors from all over the world during the 17 years, hundreds of scientific lectures, international workshops, dental congresses and thousands of successful deals at the exhibition stands - provided for you by Dental Word. An international dental exhibition and postgraduate conference visited by not only the local dentists, dental technicians, dental hygienists, and salesmen, but the dental professionals and manufacturers of the neighbouring countries. Three days to make new acquaintances, to learn and to teach new methods, to buy useful and necessary instruments, to be more efficient under increased competition.